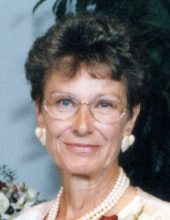 Lorraine MaryAnn Baseggio, 78, of Tempe, AZ, formerly of Sterling, CO passed away peacefully on March 27, 2019 surrounded by her loving family. Lorraine was born on September 28, 1940 in Sidney, NE and was the eldest of 3 children born to Anne (Kruger) and Thomas Campbell. Lorraine attended school in Sidney, NE where she graduated in 1958. It was a night right after graduation that Lorraine and her girlfriends decided to go to Peetz, CO for a dance, where Lorraine met the love of her life, Lawrence Baseggio and soon after the fairytale began. Lorraine and Lawrence were wed a short time later, and moved to Atwood, CO where they joined the Baseggio family farm operation. Soon after, their family would expand and eventually include 4 children. Long days and short nights became the norm on the farm, and raising kids, pets, and livestock was something Lorraine handled with ease, with some help from her great sense of humor. Taking care of her home and family was what made her thrive. Lorraine enjoyed bowling, crafting, ceramics, gardening, reading, and always was in the middle of a good puzzle. But there was nothing she loved more than when she became a grandmother. One by one, as they entered this world, there was no one more loving and caring than their grandma Lorraine, or Grandma BA as some would say. Each and every one of them were the light of her life. Gentle and kind, loving and caring, compassionate and graceful, protective and proud, Lorraine was one in a million, and she will be greatly missed. We take solace in knowing that she is reunited with her beloved Lawrence and are together once again. Lorraine was preceded in death by her mother and father, sister Loretta, brother David, and husband Lawrence, daughter Valarie, and son Scott. Lorraine leaves behind son Victor (Tracey) of Gordon NE, son Thomas (Leslie) of Fountain Hills AZ, and grandchildren Tara (Jeff) Kolb of Surprise AZ, April (Jon) Casten of Duvall WA, Brad (Stacy) Bledsoe of Ft. Collins CO, Nicole (Tim) LaChance of Phoenix AZ, Amber (Ben) Mathine of O’Neill NE, Braden (Becky) Baseggio of Minden NE, Carli (Kolby) Baseggio of Lincoln NE, Lisa Baseggio of Scottsdale AZ, Carrie Baseggio of Scottsdale AZ, Toby (Linzie) Sewald of Loveland CO & 14 great-grandchildren. Farewell mom, you taught us to love, laugh, and live. You were simply magnificent and we were blessed to have you as our mother. Funeral services will be at 1:00 pm Friday, April 5 at Tennant Funeral Home. Burial will follow at Riverside Cemetery. In lieu of flowers, memorials may be made in Lorraine’s name to the Alzheimer’s Association in care of Tennant Funeral Home, PO Box 1547, Sterling, CO 80751. To send flowers or a remembrance gift to the family of Lorraine MaryAnn Baseggio, please visit our Tribute Store. In lieu of flowers, memorials may be made in Lorraine’s name to the Alzheimer’s Association in care of Tennant Funeral Home, PO Box 1547, Sterling, CO 80751. "Email Address" would like to share the life celebration of Lorraine MaryAnn Baseggio. Click on the "link" to go to share a favorite memory or leave a condolence message for the family.